Over the past few weeks of working in my small garden I’ve come to understand the beauty and gifts of just pulling up roots of grass and weeds from the garden. It forces me to pace myself, be gentle, pull evenly with pressure, determine what is a weed, and what isn’t. There is something almost sedative and meditative about this whole process. I garden without gloves, and find myself running my fingers in the dirt, taking in the pleasant coolness, the aroma, and just sensing possibility in my hands and fingers. There is something energizing about getting my hands dirty, something that allows the whole world to drop away as I find myself talking with the creatures that are magically appearing – the ladybugs, the bees, the HUGE earthworms (I’m having Dune flashbacks here!). Talking to the plants, the creatures, the wind. At the end of a couple of hours I’m caked in layers of clay and dirt on my knees and hands. There are those around me who may say that I’m off my rocker. But, for the first time in a long time, I am allowing myself the time to be sick – and take care of myself. I’m taking the time to do something that brings me joy. I’m going slowly and making sure the garden is not all about work. It’s nurturing; it’s taking the time to care for something I know I can help and will bring beauty (and sustenance) into the world. It’s talking to the others who are lovingly doing the same. Somehow the quiet of no electric lights, no electric fans, no tv, no radio – just winds, bugs, and the voice of a child playing nearby with dad “Flower? Flower. FLOWER.” The little boy’s voice moves from questioning, to recognizing, to displaying and running around showing anyone who’ll look up, listen and take note his wondrous prize. A dandelion. You may call it a weed – but to this little guy, it’s a dozen roses from Daddy. A flower from his garden. 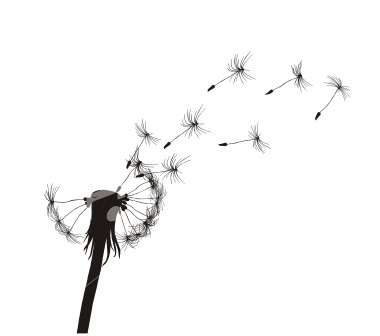 The joyous, unstoppable energy of the dandelion is magnified by the child. The dandelion. Reflection both the radiance of the sun and the power and frailty of the moon over the course of its life. 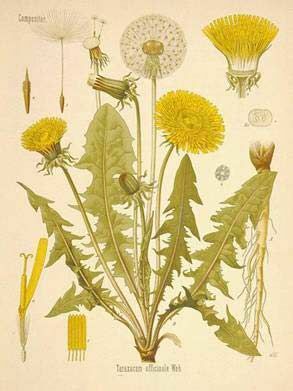 The dandelion is the strength and cunning and power of the lion whose name it carries, a brilliant flash of yellow in a solid sea of green. And the lightness of a wish on the wind…a gossamer moon waiting for you to come and make your wishes known, to carry away them on wings. It is the flower of the god and goddess – sun and moon, vibrant and full and beauteous, in life and in death. So go outside today. Look for the flash of yellow in your lawn and fields. Look for the gossamer moon waving in the breeze. Stop. Appreciate the unstoppable, untamable energy of the dandelion. You and I reflect each one. This refrain from long ago came back while watching the little boy running around with his prize from Dad, a dandelion. And when it did, as with so many songs along the way, I found I remembered the tune, and most of the words, but more importantly each time that it crossed my path with some importance. Camp. I hear this tune, and for me, I truly think of the freedom that I found while at VWC. The freedom to be who I am – smart, creative, introverted, joyous, wordy, whole, wounded, strong and able to experiment with what it is to be with power, not in power. I think of the friends that I found, the love, the great gifts of music, conversation, silence, hands, dragons, love and respect that I have been given, unasked for and at times, unwanted. How much I fought against the very things I wanted so badly. I hear a close friend from camp singing it at a group meeting knowing that it would ground me back into the there and then. This community has become my family. My friends. My mentors. Perhaps one day a lover. Who knows. In this group, I have come to believe that all things are possible – if you dream it, seek it, want it enough. As I settle into my new home, I look at the great gifts that have come out of the challenges of the past year. All that work, struggling to figure out what life beyond mom and dad would look like, all the tears shed trying to figure out how to take care of myself at the same time as others, to find a way to let out the feelings that were held, trapped like the carbonation of a shaken soda – waiting to explode. This year has been all about freedom and finding what it is to be free. Being free does not mean having no responsibility, does not mean having no past, not being accountable. The voices are all still there. I can hear my mother clearly, know what she would want. I can hear my father laughing in the kitchen. I hear my grandfather as I work in the garden. The freedom I have now is to make choices knowing that there is no family that will be needing support. No strings that leave me feeling bound to do something. It’s dizzying. Terrifying. Exhilarating. Exhausting. I have found that in freedom, I can be just as paralyzed as when tied to all the things I needed to do, felt like I had to do, and had a duty to do. The paralysis comes from my own fears. My freedom now must be my own, and only I can face my fears. As with all freedom, this came with a price that had someone asked me if I was willing to pay the price asked, I would have said no. But, this too is a piece of what freedom is for me. Knowing that the freedom I enjoy today came with a price, and honoring that. What would happen if each individual in America stopped. Breathed in what it was that gave them the rights that we have now. Look at the costs to get the freedoms we have right now. Would we be so keen to give up the things we are being asked to when we think about all it has already cost, not just in monetary terms, to get where we are? Do I want the government knowing what I read – NO. Do I want them reading my emails, my log and knowing what I’ve purchased because I used a credit card? How about my medical records? Mental health issues? NO! Do I want them listening to phone calls? Do I want them searching my house, my computer, or talking to my neighbors without my consent or knowledge – NO. Independence Day is just around the corner. Do something the current regime is terrified of – Think. Feel. Act. Do. Love this and through our human connection, although we’ve never met.. I love you. Have an amazing day. Dandelion begins to be my number one plant. So well written your post! Dandelions gave me a good feelings whenever I see this flower images i dont know how to describe. Was amaze with this article and I love it. I read this in Joy and in deep agreement.